kenoticket.net is temporarily closed due to an out of state move. Please email kenoticket@aol.com with any questions or concerns. We will re-open just as soon as possible. 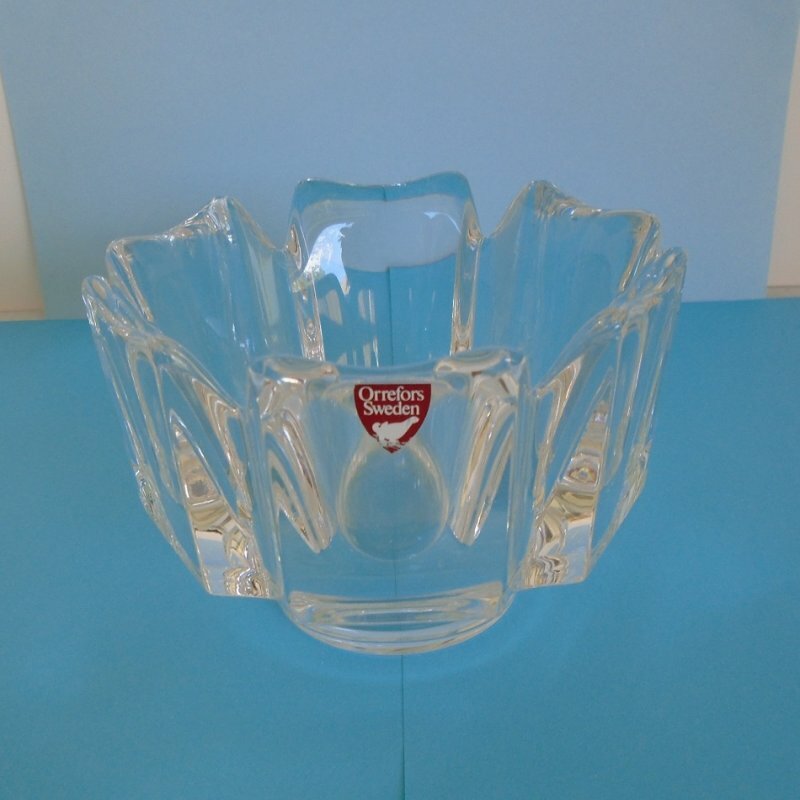 Orrefors of Sweden crystal bowl. Design is called Corona. Dates between 1978 - 1982. Never used. From Beverly Hills estate. 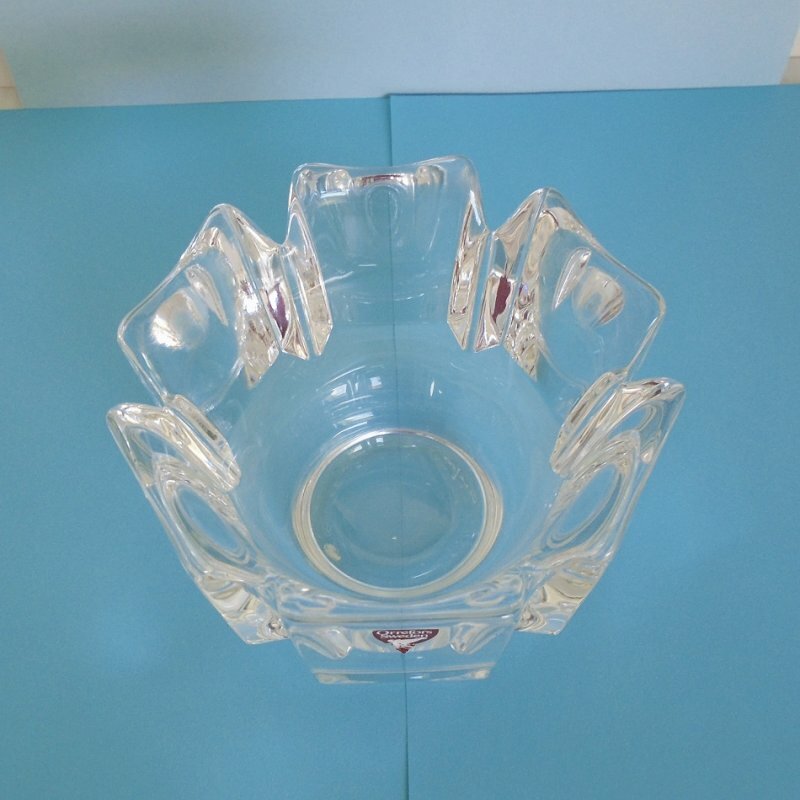 This stunning crystal bowl came from my mother-in-laws estate in Beverly Hills. I've been a part of the family since 1982 and I know it was in her possession before that. Orrefors introduced this design called 'Corona" in 1978, so this bowl dates between 1978 and 1982. That would put it at one of the earliest ones produced. It was always displayed in a closed glass door hutch and was never used. It is in 'like new" condition. Sorry, no box. I am discounting the item quite a bit due to an upcoming move. In my last photo (below), I tried to show the signature on the bottom, but it didn't come out too good. 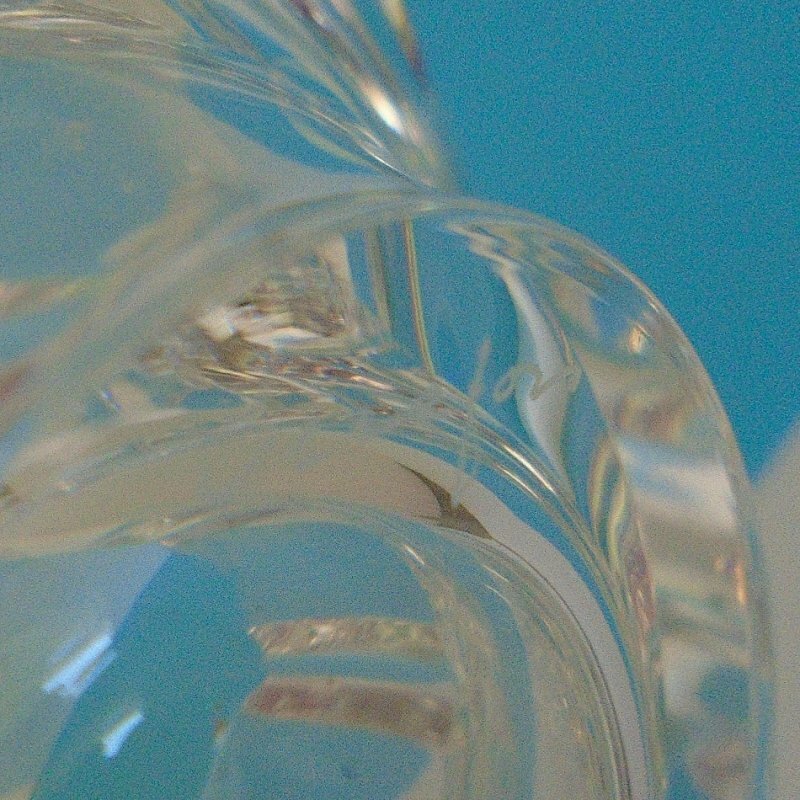 "Lars Hellsten designed the Corona bowl at the Orrefors Glassworks in Southern Sweden. Corona was inspired by the light surrounding the moon, as Hellsten, one of Scandinavia's finest glass designers, cites nature as his leading design source. Made of purest crystal in the centrifugal technique, which challenges the skills of both artist and glassmaker, Corona has been among Orrefors" best-selling classic designs since it's introduction in 1978". Height is 3 and 3/8 inches, Width is 4 and 1/2 inch." Orrefors item number 6438431. Retails today for $175. Due to the weight, shipping will have to be via USPS Priority Mail Flat Rate packaging. Insurance and signature confirmation will be utilized, meaning the box MUST BE SIGNED FOR at time of delivery. Since these safeguards are for the protection of us both, I split those costs with the buyer. Buyer to pay $9.95 USPS shipping charges. To avoid duplicate shipping charges, please contact seller for combined shipping charges if multiple items are desired. INTERNATIONAL SHIPPING depends on the country. Buyer must contact seller for shipping quote before making purchase. Seller reserves the right to void any transactions where contact has not been made prior to purchasing. All items in my listings come from either estate or garage sales. I do not know if they came from homes where smoking or pets were present. All items are sold in the same condition as when I received them.